All Nauticalloy Marine Propeller shafting material is produced in accordance with our ISO 9001-2015 Quality Management System and upon request customers can be supplied with appropriate certificates of conformity or manufacturing mill certificates and accompanying certificate of straightness. 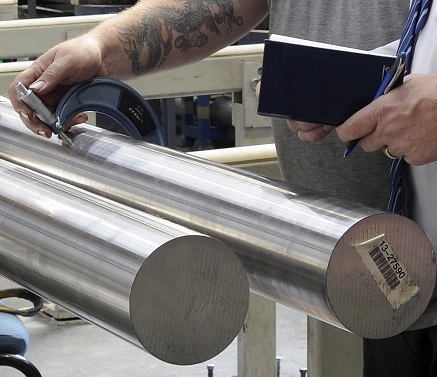 All of the Nauticalloy grades are manufactured by some of the leading European stainless steel producers and can be supplied with third party certification, such as Lloyds Register of Shipping, Bureau Veritas, American Bureau of Shipping, RINA, Det Norske Veritas /Germanischer Lloyds, Chinese Classification Society, NKK or any other inspection authority requested, subject to approval. We are confident that we have the experience and knowledge to meet all your certification requirements.